The Data Center Pièce de Résistance » HHP Associates, Inc.
Data centers are surging. So are their energy needs. One large data facility can consume as much electricity as an entire U.S. city. This year, cloud computing will use 13 times the energy it did in 2012. In the U.S. alone, data centers are using an estimated 91 billion kilowatt-hours a year. Annual consumption is projected to increase roughly 47 billion kilowatt-hours by 2020, requiring the output of almost 34 giant coal-powered plants. And new research suggests that data centers will soon be one of the biggest energy consumers on the planet, surpassing entire nations. To put it mildly, data centers are gluttons for power. With this massive demand, played out across countless racks of tightly packed equipment, even a small design improvement can make a big impact in energy and cost savings. Data center managers are ever looking to squeeze the last bit of performance out of center architecture, down even to the connector level. Enter Positronic. Our power catalog features connectors with solid contacts machined from a high conductivity alloy. 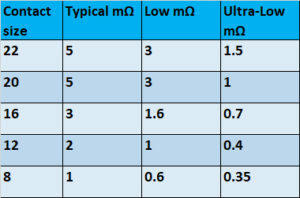 The resulting interface resistance values range from 0.7mΩ to 0.2mΩ, for the lowest resistance in the industry. With every individual contact contributing to power efficiency, the savings are significant when multiplied across the entire center. 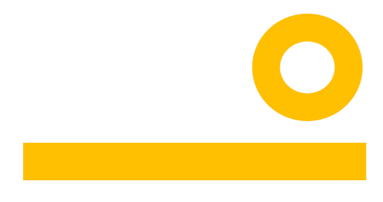 Low resistance increases the efficiency of an electrical connector. Power loss at contact interface = I2R, a direct function of contact resistance. 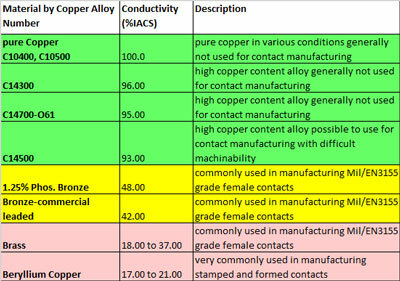 Three technical elements can be optimized to create ULTRA-LOW Resistance electrical contacts. Positronic power connectors offer increased electrical contact surface area, the lowest circuit load in the industry, and highest linear current density – all resulting in more energy efficiency. And power efficiency and cooling are related, so if your power isn’t efficient, you’re spending too much money cooling! With strong, unique offerings, Positronic is actively expanding its footprint in the data center industry. You’ll find our flagship Scorpion series at both Facebook and LinkedIn data centers. In addition, Positronic has diverse termination types: wire crimp, wire solder, wire wrap, lug, bus-bar, through-hole etc. Another strength is customization, with the ability to meet exact application requirements, including mounting options for boards, panels, fixed and floating. 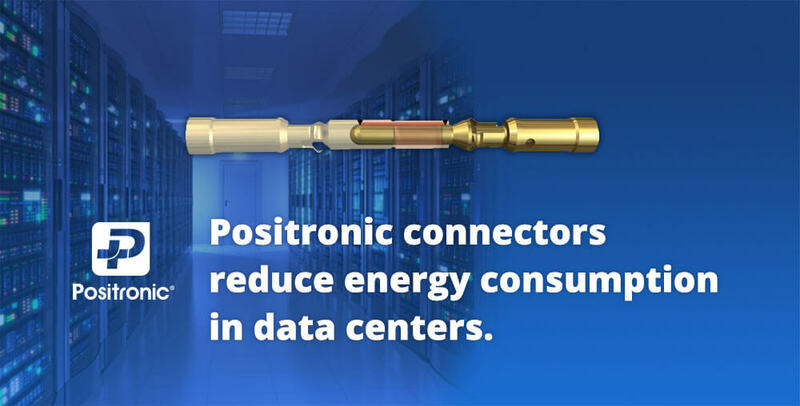 Data centers may be surging, but Positronic power connectors are keeping pace, helping them stay cool and energy efficient. We are honored to serve as a manufacturer’s rep for Positronic, a global manufacturer of high reliability electronic connectors for use in various applications.